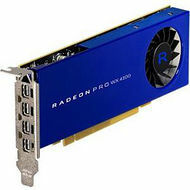 The Radeon Pro WX 7100 graphics card is the world’s most powerful single-slot workstation GPU and is designed for VR and the immersive computing era. VR, or Virtual Reality, is emerging as the next major industry inflection point for Design & Manufacturing as well as Media & Entertainment workflows. The Radeon Pro WX 7100 delivers the performance needed to drive user experiences to this next level of immersion. 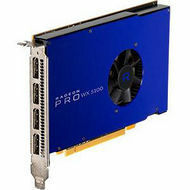 Based on AMD’s new Polaris architecture, the Radeon Pro WX 7100 delivers up to 5.73 TFLOPS of compute performance, making it the world’s most powerful, single-slot workstation graphics card. Equipped with 8GB of ultra-fast GDDR5 memory, the Radeon Pro WX 7100 easily handles large and complex models and datasets, providing the necessary performance needed for today’s demanding workloads. Users can harness the power of the Radeon Pro WX 7100 graphics and drive 4K displays at 60Hz, for an ultra-high resolution design experience. If 4K displays aren’t immersive enough, then jump into the new world of VR design - leveraging AMD’s LiquidVR Technology - and enjoy liquid-smooth visual performance and ultra-high frame rates. Experience realistic virtual designs and interaction like never before. 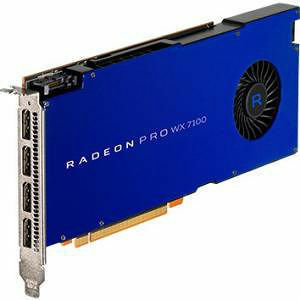 The Radeon™ Pro WX 7100 graphics card is based on the fourth-generation of Graphics Core Next (GCN) GPU architecture and, like its predecessor, can perform graphic and arithmetic instructions in parallel.